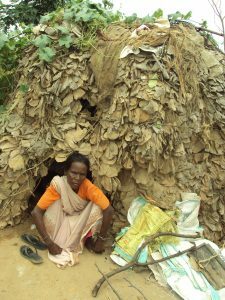 This picture of one of the Birhor families of Pipradih village of Bagodar Block tells the story of miserable of the Birhor tanda. To available them comparatively better residential facilities will cost around Rs.60,000/- Please Donate full /part portion of the amount for their existence. Your donation will be used for the welfare of the 60 families living in such measurable conditions in Birhor tanda. Every family requires one such shelter. These two pictures indicate the interventional impact of BVA in the field of schooling of the children of Birhor a primitive tribe. Before intervention the situation is indicated by Figure-1 and Figure-2 indicates the impact of intervention. We want to continue our intervention with your donation please donate. Rs. 1000/- per annum per student. These adolescent girls have had no opportunity of schooling in their life. 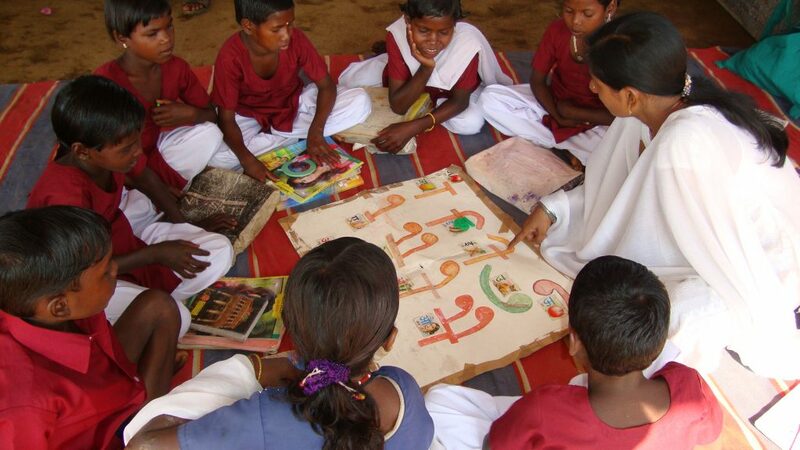 We facilitate them with one year special training designed to prepare them for main stream education. Their skill is developed for vocational training eventually necessary for domestic life. 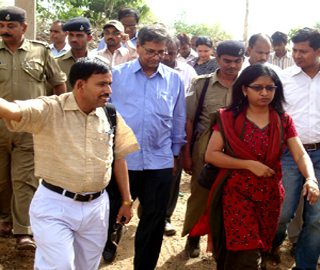 This programme is done in residential mode costing Rs. 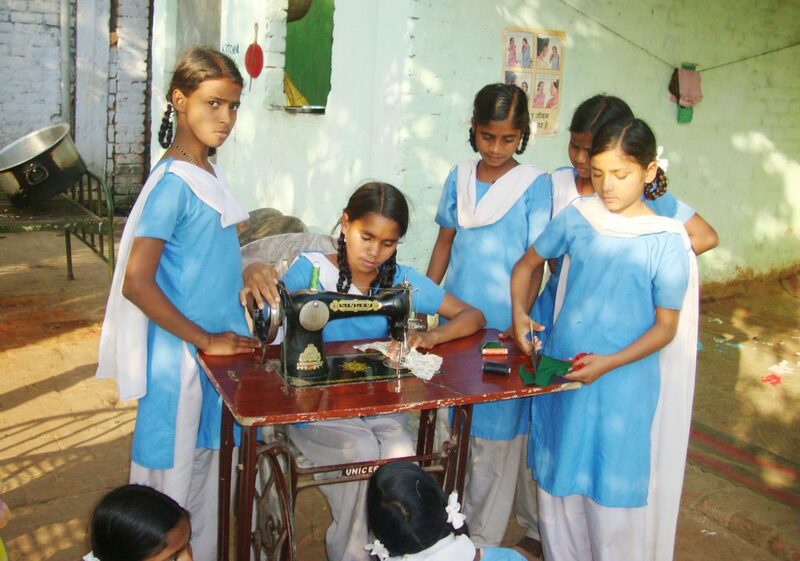 2000/- per month; per girl; please donate for the continuation of this girl friendly programme . 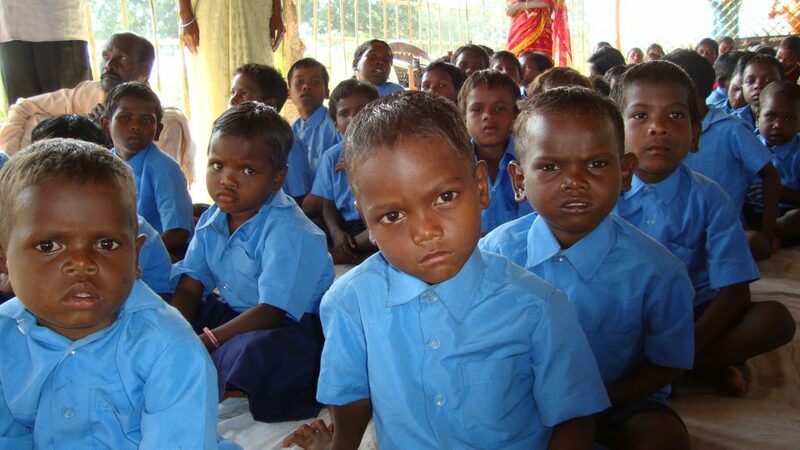 Introduction of education to Birhor children of a PTG Please donate for the continuation of this welfare venture of BVA. amount to be donated Rs.1000 per annum; per children. Donate to the development of poor, helpless, birhore. Copyright © 2019 Banwasi Vikas Ashram. Powered by WordPress. Theme: Accelerate by ThemeGrill.